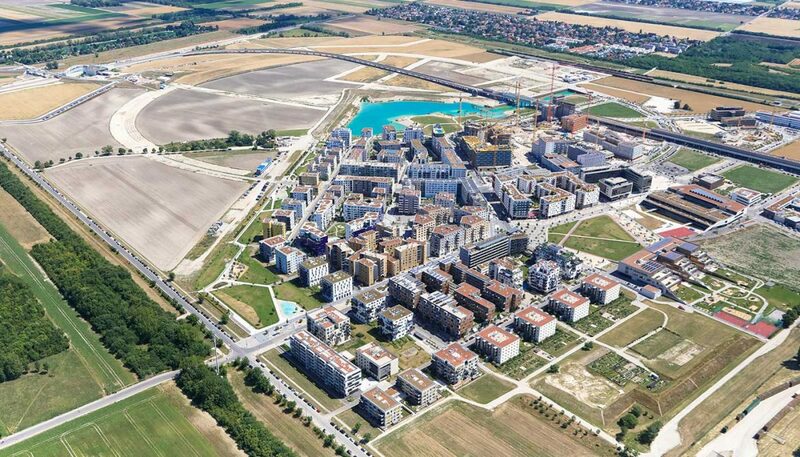 Tovatt Architects & Planners won the master plan competition for the new urban development Seestadt Aspern on the former airfield in the northeastern part of Vienna, Austria. 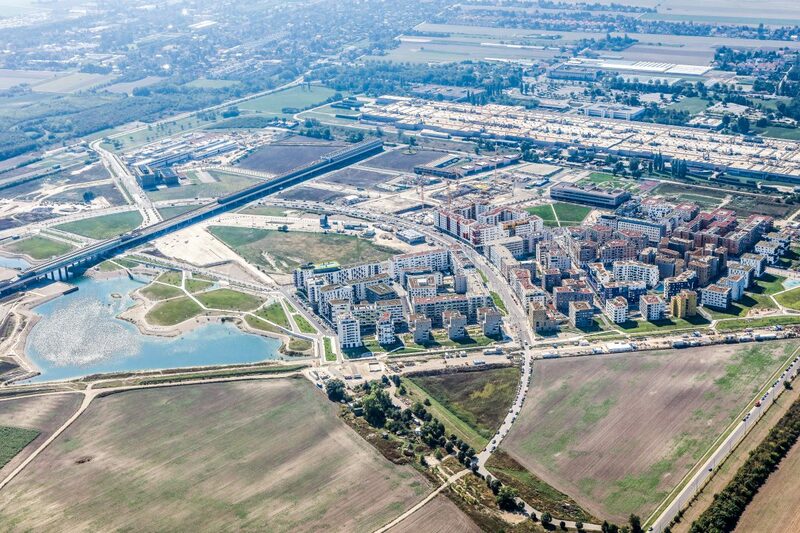 It is currently one of the largest urban extension areas in Europe. Since the wining proposal was presented in 2005 the office has worked closely with the city, experts and investors to develop and improve the plan to its current stage. 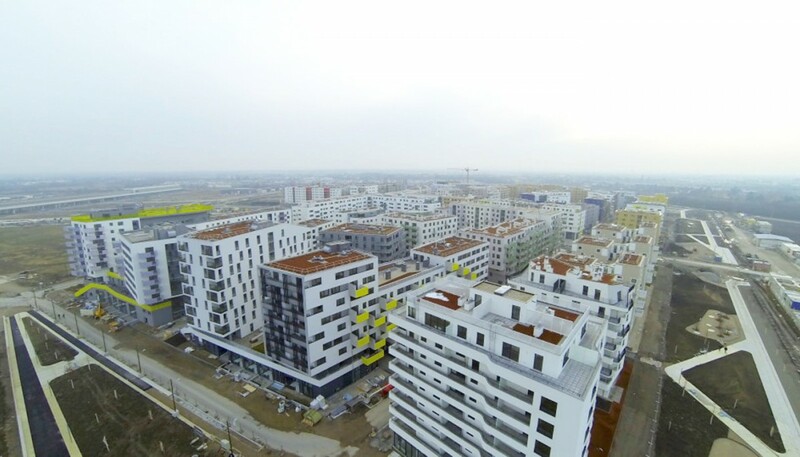 The Aspern airfield site is regarded as one of the most important redevelopment schemes in Vienna and is expected to become a new focal point and traffic interchange for the region. 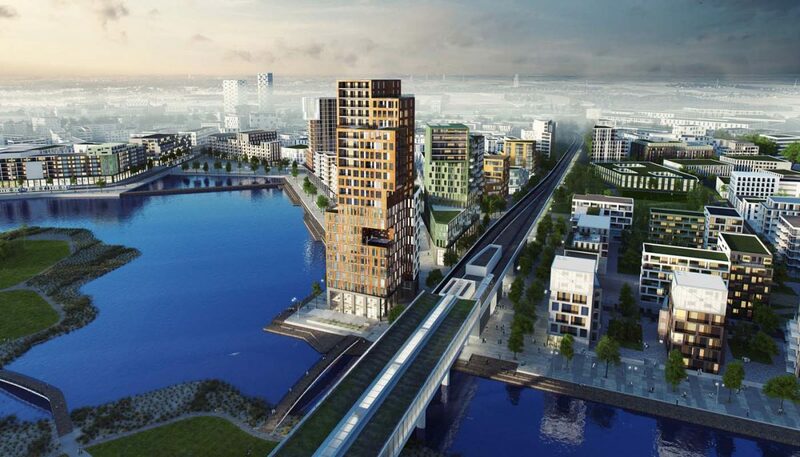 A new infrastructure including underground links to the city and ring road systems are planned, together with fast tram connections to Bratislava. 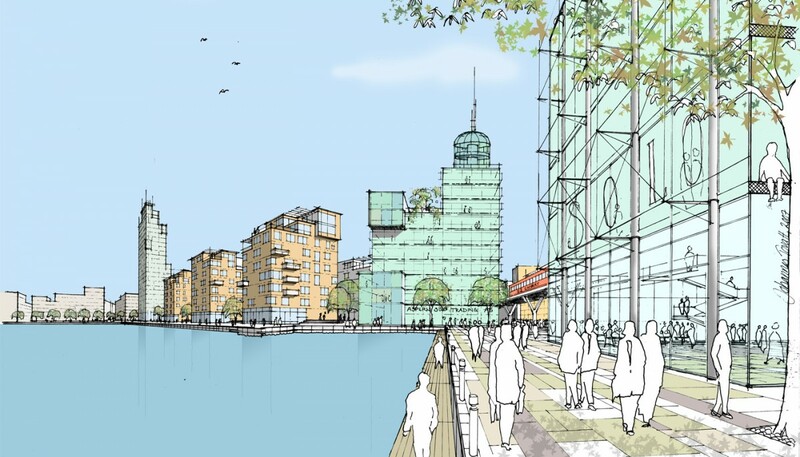 The proposed masterplan is truly mixed use, including residential, commercial, cultural and educational elements. The construction and implementation stage will span several decades. Tovatt Architects & Planners has proposed a relatively dense and urban development for the area, a structure built up of large-scale civic gestures coupled with small and spontaneous spatial surprises. A central park at the focal point of the plan connects and links smaller squares and public open spaces into a meandering net providing a safe and clear way of movements. A generous ring road, a wide pedestrian route and radial connections give the masterplan its structure. This structure also provides the basis for large flexibility in the development of the ‘city blocks’, and how the proposal can develop over time. The northern edge of the development contains a complex interchange of public transport; a regional node integrating fast train, underground, trams and buses. The large network of pedestrian friendly streets and parks form the basis in which the use of cars could be reduced to a minimum. 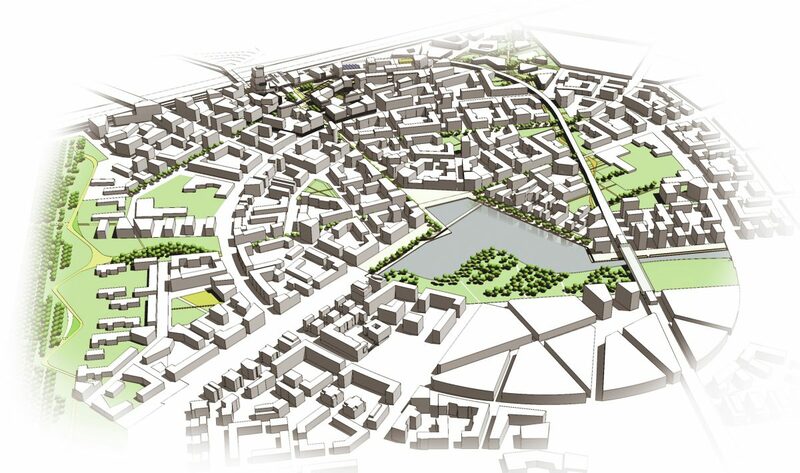 The developed scheme includes strategies for development in phases, defined building typologies, landscape typologies and strategies for vehicular traffic. 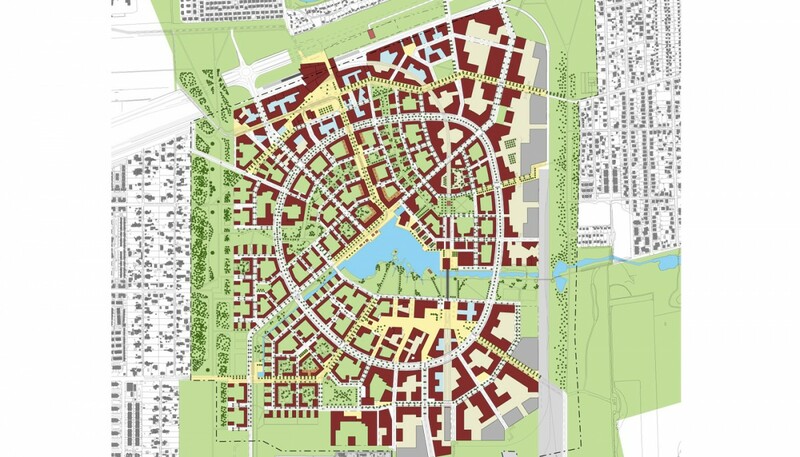 The masterplan design guidelines establish the necessary social infrastructure early in the development, to ensure access to a range of community facilities and the support networks which are necessary to achieve a genuine sense of community. 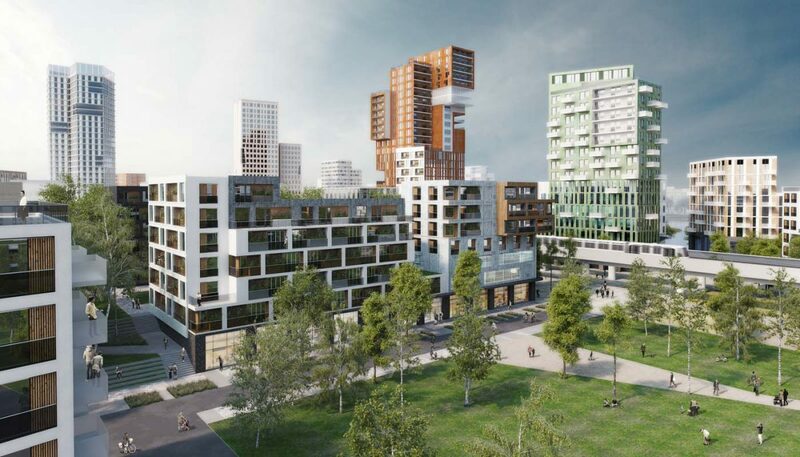 See also D10, an urban mix-use block in the first phase of development designed by Tovatt Architects & Planners. Project type: First prize in an international competition, masterplan, design guidelines, implementation strategies and analysis and a wide range of studies. 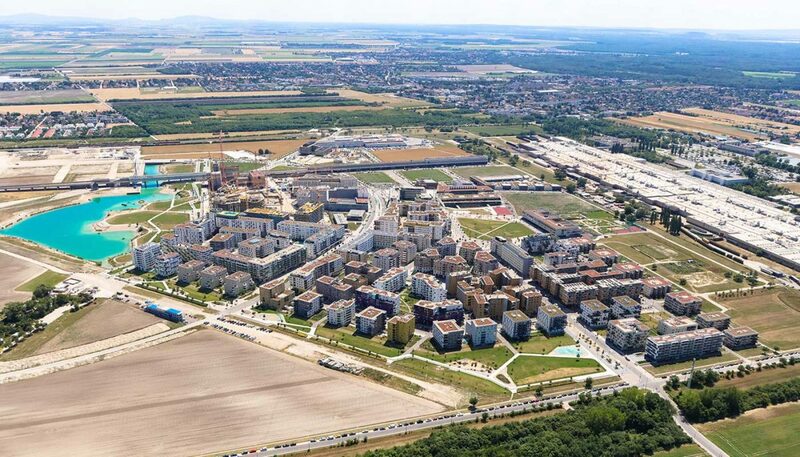 Program: 240 ha site, 1 000 000 m2 housing 1 000 000 m2 offices, retail, social service etc, 50 000 inhabitants. Please contact Johannes Tovatt if you want to know more about the project or how we work with urban design and urban planning. Illustration of the lakeside from 2016. Illustration of the lakeside from 2006. Illustration of park north of Seestadt Aspern Station from 2016. 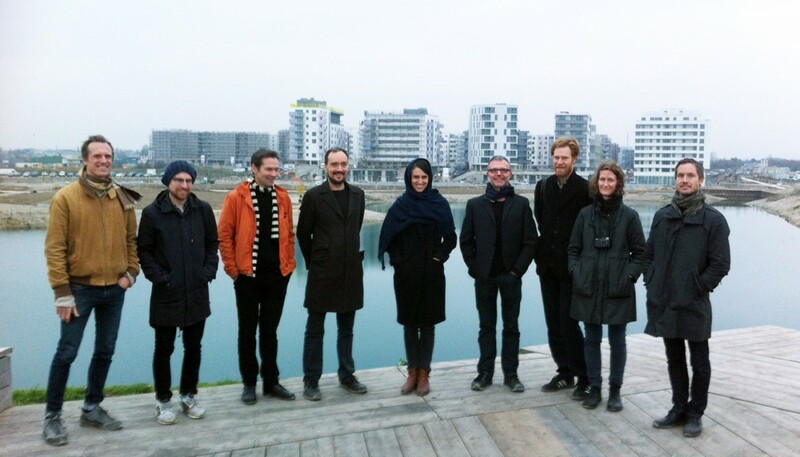 The Tovatt office visiting the building site in 2014, phase one in the background.